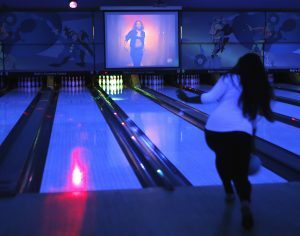 Cosmic Bowling is a glow in the dark good time featuring an LED Light Show and your favorite music videos by the glow of black lights and neon. Cosmic Bowling $18 per person. Including shoe rental. Additional time after your initial purchase is available at the rate $35 per lane, per hour.